Stephen Harding is the author of nine books, including the New York Times bestseller The Last Battle. 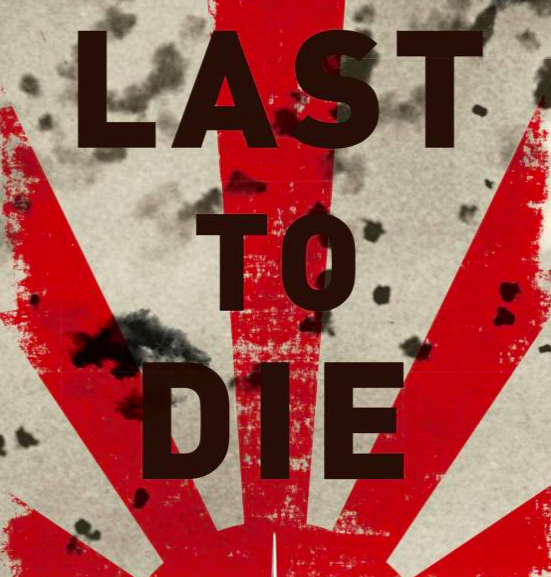 His most recent book is Last to Die: A Defeated Empire, a Forgotten Mission, and the Last American Killed in World War II (Da Capo Press 2015). Before dawn on a steamy Pacific morning seventy years ago U.S. Army Air Forces Sgt. Anthony J. Marchione climbed aboard a huge, four-engined bomber at Yontan airfield on Okinawa. Hours later that aircraft, a B-32 Dominator, was ravaged by Japanese fighters and 20-year-old Tony bled to death in the skies above Tokyo. The young aerial gunner died as so many others did in that long-ago conflict, cradled in the arms of a buddy who was powerless to save him, and his passing would be sadly unremarkable were it not for two facts: He was the last American killed in combat in World War II, and the manner of his death very nearly changed history. By early August 1945 Japan’s armed forces had been rolled back throughout the Pacific, its major cities and industrial centers had been reduced to smoking rubble by waves of Allied aircraft, and many of its people were on the verge of starvation. Though some of Emperor Hirohito’s military and political advisers argued that the nation should continue to fight, both to uphold its honor and to force the Allies into accepting a negotiated end to the war rather than the unconditional surrender they were demanding, the atomic bombings of Hiroshima on August 6 and Nagasaki three days later convinced the diminutive monarch that continued resistance was futile. He announced his decision to surrender—though he never actually uttered the word—in a pre-recorded speech broadcast to the nation on August 15. An attempted palace coup failed to halt the move toward capitulation, and by August 16 orders were going out to Japanese forces worldwide to lay down their arms, stop all offensive action and abide by the ceasefire terms issued by General of the Army Douglas MacArthur, the supreme commander for the Allied powers in the Pacific. In order to confirm the Japanese were following his directives, MacArthur ordered reconnaissance flights over key areas of Japan, including the greater Tokyo metropolitan area. Among the aircraft assigned to the recon task were the Okinawa-based 386th Bombardment Squadron’s B-32s, and on August 16 four of the Dominators flew over the Japanese capital without interference. The following day things did not go as well, however, for another quartet of B-32s was fired upon by anti-aircraft batteries and then attacked over Tokyo by fighters belonging to the Japanese navy’s 302nd and Yokosuka air groups. The Dominators made it home with only minor damage and no casualties, but MacArthur needed to know whether the anti-aircraft fire and fighter attacks were random acts by rogue elements or, more ominously, an indication that the Japanese might be wavering in their commitment to surrender. He therefore ordered four more B-32s back over Tokyo on August 18, though two of the aircraft turned back with mechanical problems. The Dominators that reached Tokyo were jumped by fighters from Atsugi and Yokosuka; gunfire from the Japanese aircraft severely wounded aerial photographer Staff Sgt. Joseph Lacharite and killed Tony Marchione, who was acting as Lacharite’s assistant. Had MacArthur decided that this egregious violation of the ceasefire indicated that Japan was in fact not intending to surrender he could well have restarted the air war against the island nation, with all the dire consequences that would entail. To his credit, however, he chose to wait. A Japanese surrender delegation was scheduled to fly to his Manila headquarters on August 19 via the U.S. airfield on the island of Ie Shima; if the two aircraft bearing the delegation failed to appear, it would be a clear sign that Tokyo was reneging on the surrender decision. If the aircraft did arrive, it would confirm that the attacks on the B-32s had been carried out by mutinous die-hards. To the relief of everyone in MacArthur’s headquarters the surrender delegation arrived on schedule and the Japanese government quickly brought the various rogue military units under control. The first Allied occupation troops landed in Japan on August 28—at Atsugi, as it turned out—and on Sept. 2, 1945, World War II officially ended with the surrender ceremony aboard the battleship USS Missouri in Tokyo Bay. Sadly, it took another four years for Tony Marchione’s remains to make the journey from a temporary interment site on Okinawa to the cemetery of his family’s parish church in Pottstown. The last American killed in combat in World War II—and the man whose death nearly changed history—was buried with full military honors on March 21, 1949.